Discover more about Indonesia from our Travel Consultant, Kathrin Mayr, who shares her top Indonesia travel tips after experiencing the nooks and crannies of the wonderful island nation! Indonesia – the name alone conjures up images of an exotic paradise with powdery white beaches, smoldering volcanoes, mystical cultures and above all, adventure! It’s no wonder that at Enchanting Travels, we are absolutely thrilled to include the world’s largest island nation in our collection. 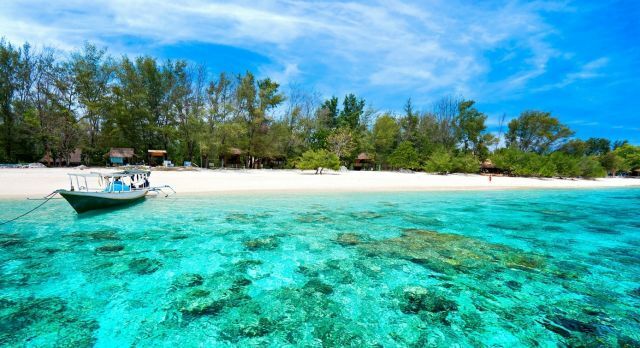 Did you know that Indonesia, unlike most other countries in Southeast Asia, is the perfect destination in summer? The largest island in the archipelago boasts incredibly diverse experiences. We were fascinated by the temples of Borobudur. Crowned by a large stupa (hemispherical structure), the colossal pyramid is set on a hill in the midst of a lush tropical forest. The classification inside the structure is particularly impressive – walk through several floors until you arrive at the center of enlightenment on the top. As the first rays of sunlight begin brighten the horizon, Borobudur Temple is a sight to behold, appearing just like an incredibly mystical, other-worldly wonderland! Treat yourself to some well-deserved luxury! The palatial Amanjiwo offers every heart’s desire. 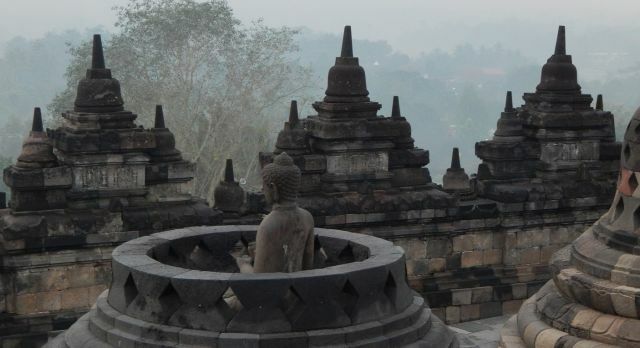 A special feature: incredible views of the Borobudur Temple complex! 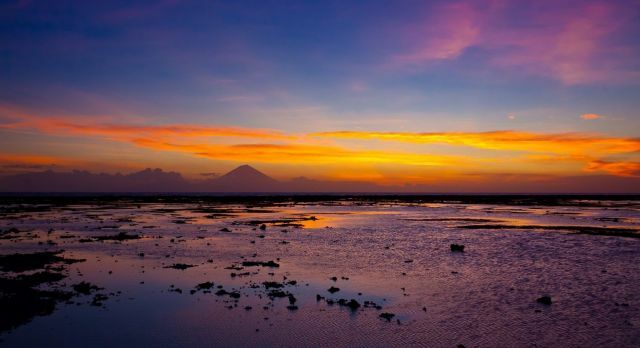 There are 127 active volcanoes in Indonesia, many of which you can climb safely. 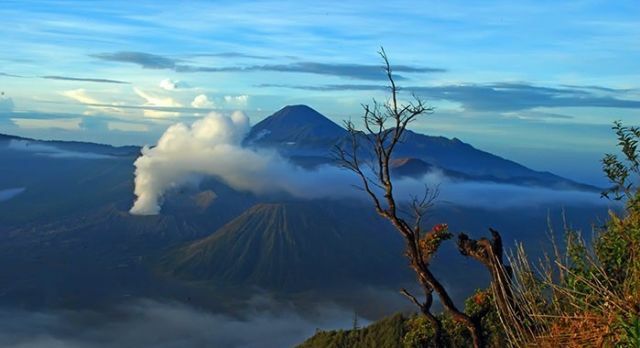 Climb to the top of Mount Bromo for spectacular views of three neighboring volcano peaks in the early morning light. This small island is a perfect combination of all the best things to do in Indonesia, right from lush paddy fields to verdant forests and pristine beaches. Even between beaches, you are spoilt for choice! From a sleepy village of yore, Ubud is now the cultural center of the island. It’s a wonderful place where you can drive around, browse through souvenirs in the art market, or watch the bustle of daily life from the comfort of a café. 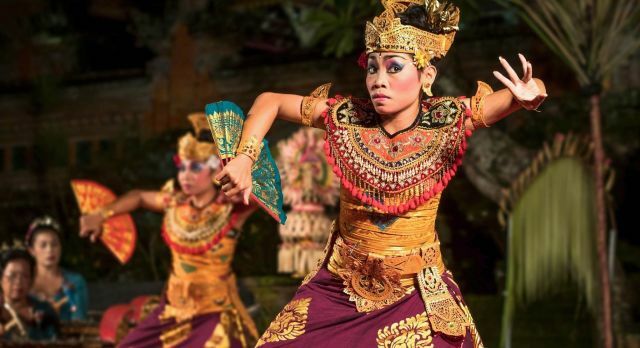 The Legong Dance is often described as the most beautiful dance form in Bali. We saw an impressive traditional performance in Ubud. My fellow travel consultant, Sebastian, was thoroughly impressed with the authentic and rich culture of the island. Bali’s numerous temples exude a particularly spiritual and tranquil aura. Officially, there are about 20,000 temples in Bali alone, apart from the numerous family temples or private shrines. Rumor has it that there are more temples in Bali than there are houses! 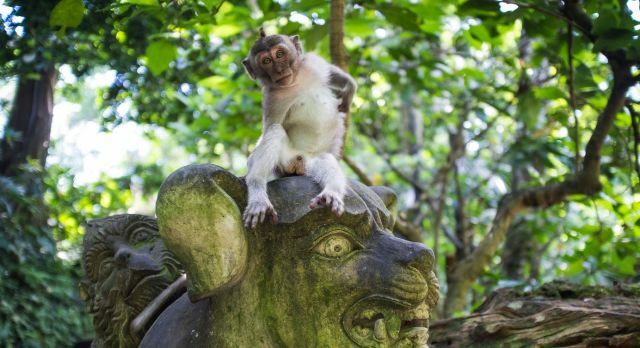 Cheeky monkeys are regularly found around temple complexes, lying in wait for goodies brought by devotees. Take a cooking class in Ubud. With the freshest ingredients purchased at the market, learn how to steam fish in banana leaves, prepare water spinach, and the famous peanut sauce for satay (or sate) that has put Indonesian cuisine on the map. Our favorite activity was a bicycle tour of Ubud. I took a ride through the lush green rice paddies of the area. It’s especially lovely to cycle around the small villages and gain fascinating insights into Balinese life. The island paradise of Lombok may be best known for its beautiful beaches, but it has much more to offer. Tete Batu is just such a place. Well off the beaten path, you will find a beautiful landscape and a truly unique culture in this town. Amid the lush green rice paddies of Tete Batu sits a small temple, where people of many different faiths pray together peacefully. 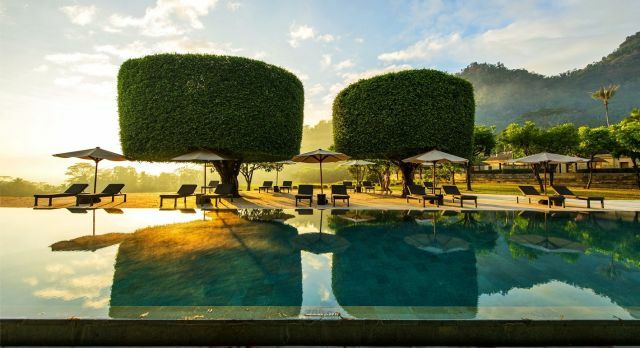 Spend the night at Tugu Resort. The property is operated by the deeply devout Buddhist, Anhar Setjadibrata. His love for Indonesia’s art and culture is unmistakably evident within the hotel’s lovingly crafted architectural details. 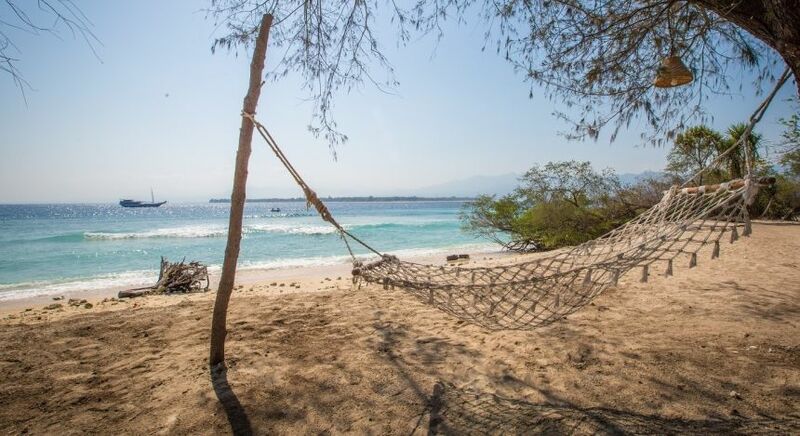 The Gili Islands are the epitome of dream beach vacations! I still get starry-eyed when I talk about the snow white sandy beaches, the glittering, turquoise sea and the colorful underwater world. 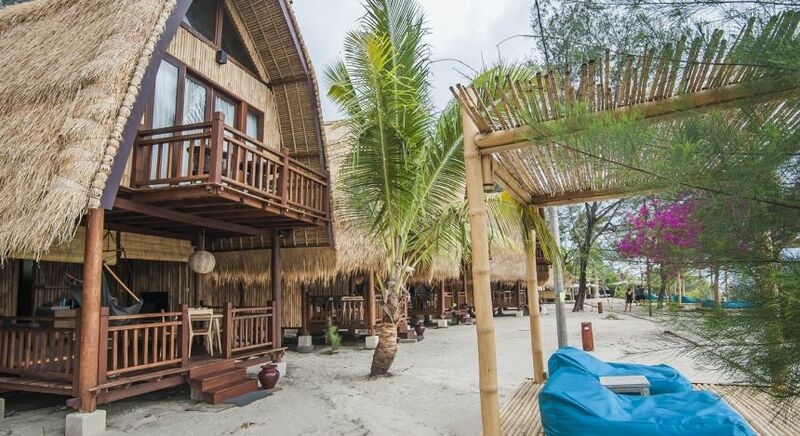 I would recommend that you spend at least a few days unwinding at Gili Meno. Here, time seems to have stopped still in the era before the invention of automobiles. Transport options are limited – you can either navigate the quiet streets on foot, or opt for the traditional cidomo (horse-drawn carts). It takes just about an hour to circle around the entire island on foot. 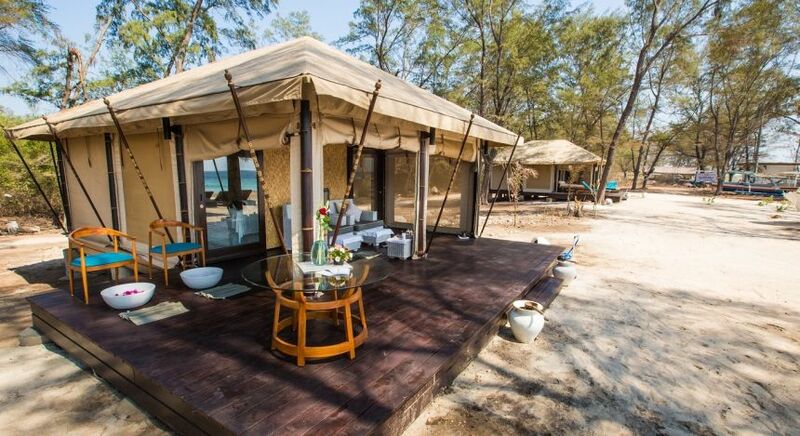 At Enchanting Travels, we always test all our properties to ensure they live up to the high standards we expect – and offer various styles of accommodation (be it boutique, international or resort style hotels). 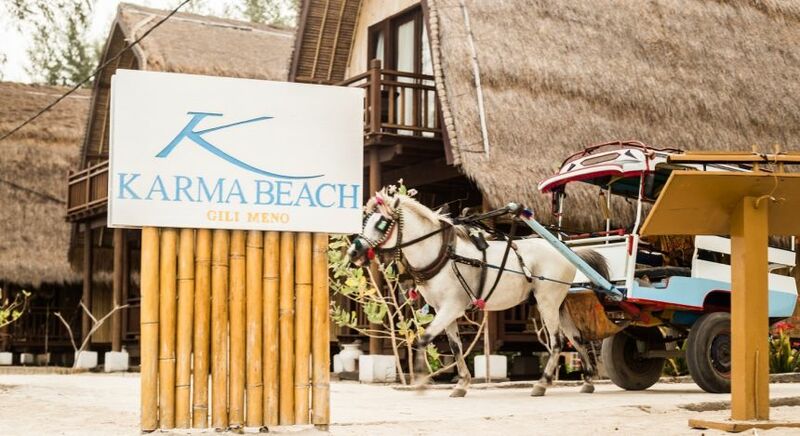 For a stay in an authentic beach hotel, I highly recommend the traditional Sasak-style bungalows at Karma Beach. Peel off your shoes, shrug of your worries and sink your feet into the soft white sand – this is beach bliss at its best! Discover the island paradise of Indonesia for yourself on a seamless, customized tour crafted and executed by our experts. Get in touch with us for your obligation-free itinerary today!